Just installed my FASTChip //e In italics are the notes from the a2heaven.com website. Links to website and my videos are below. Update May 31, 2018: I recently found my 5.25 pfs:Write disks and thought I’d try it with the FastChip//e and the DuoDisk drive. Interesting to watch. May 31, 2018 I updated the file again today and then ran Spell Check or ‘Proofing’ as pfs:Write calls it. With the FastChip//e set to 8.3 MHz (random speed selection) the Dictionary disk never stopping spinning in drive one. Data disk in drive two. The document was over five pages long and the spell checking ﬂew. The disks and screen never really stopped and barely slowed down as it ﬂew through the document addressing probably over 1000 words. There were proofs required along the way since there were some misspellings, but also terms, like FastChip//e. Many of these needed to be added to the Personal Dictionary. It was fun to perform this check. Lastly, the word replacement special effect of pfs:write where it erases the word from right to left and types in the new word, was nearly instantaneous. I’ve been running a tests of PublishIt v4 startup time on the Apple //e with the FastChip//e. *With the FastChip//e set at 10 MHz and running PublishIt from the SCSI drive it took 8 seconds to load. *With the FastChip//e running at 1.0 MHz running from the SCSI drive it took 25 seconds. 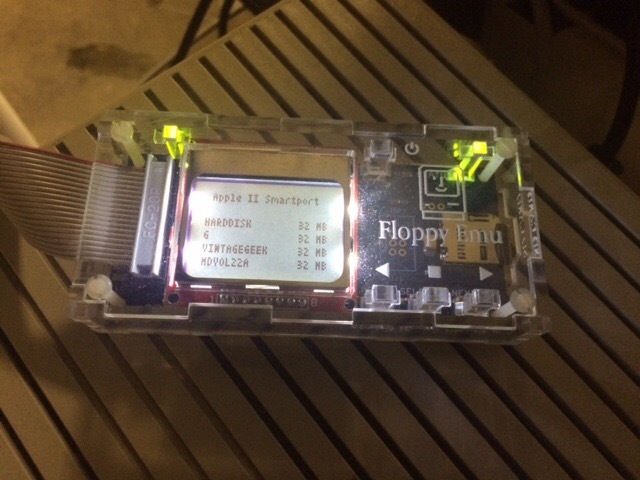 *With the FastChip//e running at 1.0 MHz and PublishIt v4 running from a UniDisk 3.5 disk connected the Liron Controller Card in the //e it took 53 seconds to load. [ Note: The Apple //e has a RamWorks8M card made from a2Heaven. This card uses current day technology so it must provide some additional advantage when loading the fonts, et al into memory upon startup. The only way to see the difference would be for me to uninstall the RamWorks8M and reinstall the 1986 RamWorks 1M card by Applied Engineering. At the end of this post are links to YouTube videos of the above. The FASTChip //e accelerates the Apple //e™ by replacing the on-board microprocessor with a much faster one. Because the memory on the Apple //e™ can only run at a 1 MHz speed maximum, faster memory (SRAM) must be provided to increase performance and allow the 65C02/65C816 CPU to run at full speed. 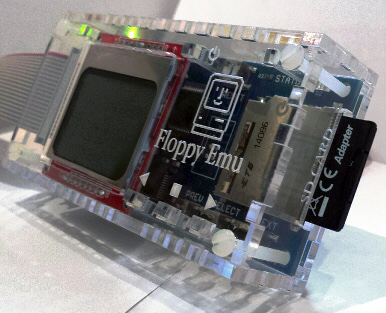 To do this, the FASTChip //e contains 512KB/1024KB of fast SRAM memory. The clever design allows the acceleration of programs running in both main and auxiliary memory. The additional FASTChip //e memory can emulate both 192/448 KB fast RamWorks compatible RAM and 256/512 KB fast RamFactor (slinky) compatible RAM. 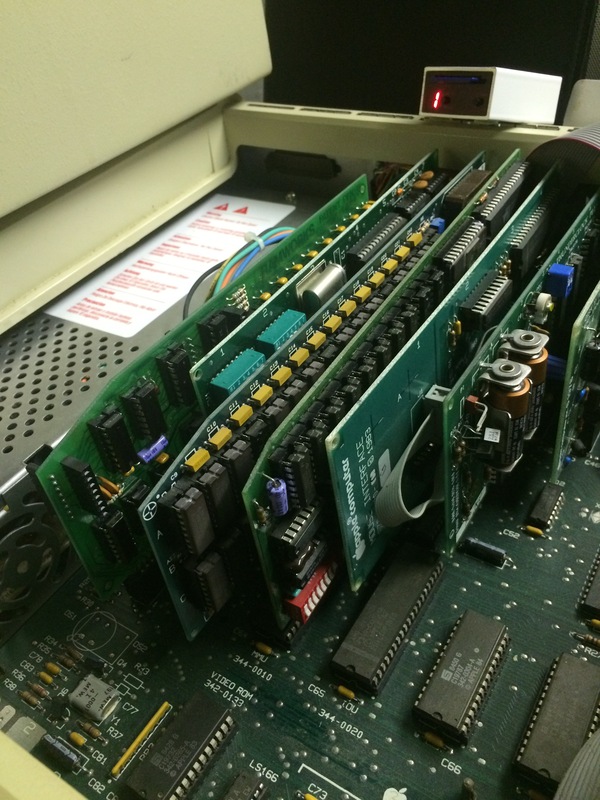 Easy to install card, installable in slot 1-7 of the Apple //e™, or Enhanced //e. Does not mechanically interfere with the 80 column card in slot 3. 65C02/65C816 microprocessor running at a clock rate of more than 16 MHz . External Hardware Control Panel with controls and LED display. CPU frequency can be changed real-time via rotary knob (0.2Mhz to 16.6Mhz). Stop/Pause and Status buttons for easy control. 4 digits x 7 segment LED display. Built in 192/448 KB fast RamWorks compatible RAM. Built in 256/512 KB fast RamFactor (Slinky) compatible RAM. Low power design for cool operation. Acceleration of programs running in both main and auxiliary memory. Compatible with most interface and expansion cards for the Apple II/IIe. 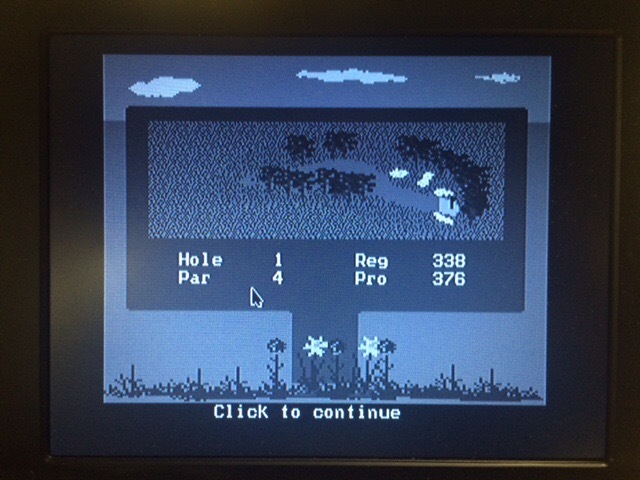 Transparent operation with all Apple II software. An easily accessed built-in software control panel lets you control processor speed, memory, joystick, speaker sound quality and many other options. Picture above courtesy of Jorma Honkanen. My actual //e Setup with FastChip//e, RamWorks8M card and SDFloppy II installed. 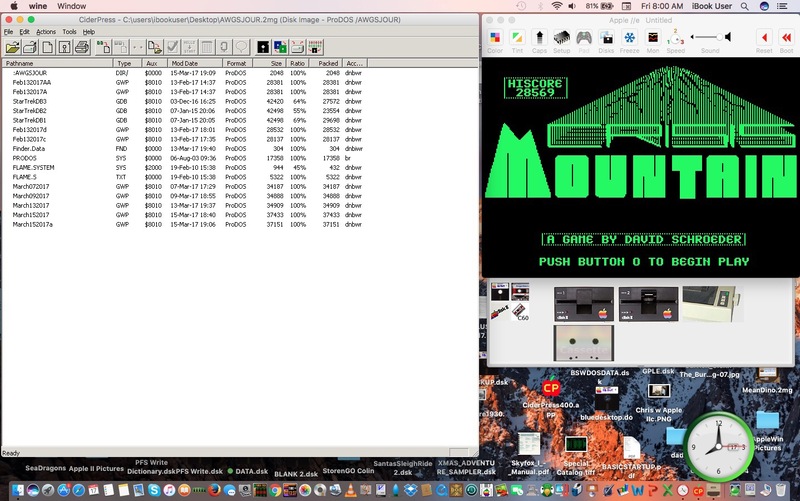 FastChip//e videos of PublishIT version 4 at 10 Mhz. 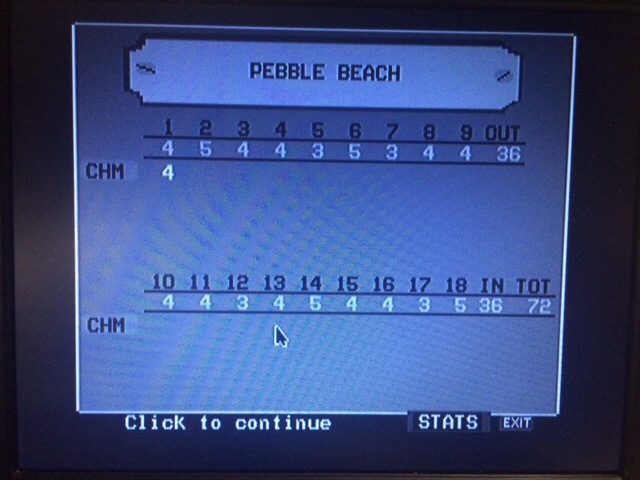 A program essentially unusable on a IIe at 1 MHz. [Note: I’m running PublishIt from a SCSI drive, not a floppy, unidisk 3.5, or SDFloppy, although programs ran fine from all three devices. But obviously SCSI is the fastest ] : unless you have a CFFA or MicroDrive Turbo. 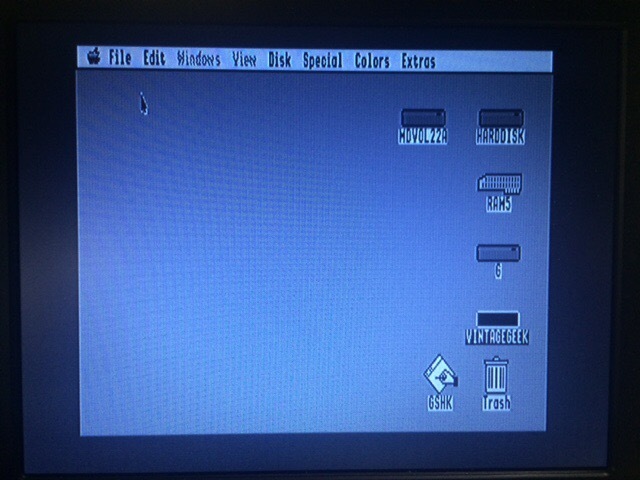 I’ve been a long time user of CiderPress for Windows to manage images for my Apple II computers. But, it required me to run Parallels for macOS. [ since I haven’t permitted Windows computers among family members since 2005; I got tired of fixing everyone’s issues ]. So, when this popped up I jumped at it. Straight download, app lands on desktop and off you go. So far, it’s done everything I’ve needed. I’m running macOS Sierra in case you need that for reference. 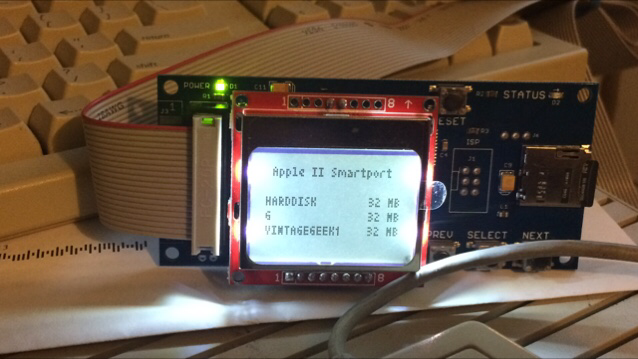 Took my Floppy EMU and attached to the Smartport on the IIGS. 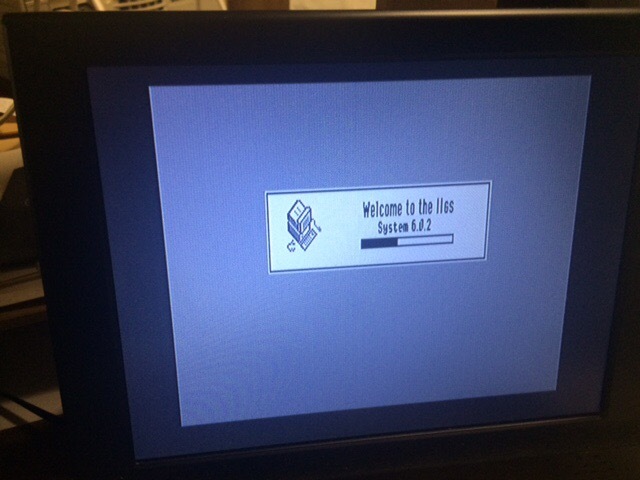 I switched the EMU to boot from the hard disk images. Very nice. Booted 6.0.2 from HARDDISK and I ran Mean 18 Golf from the G hard drive image. 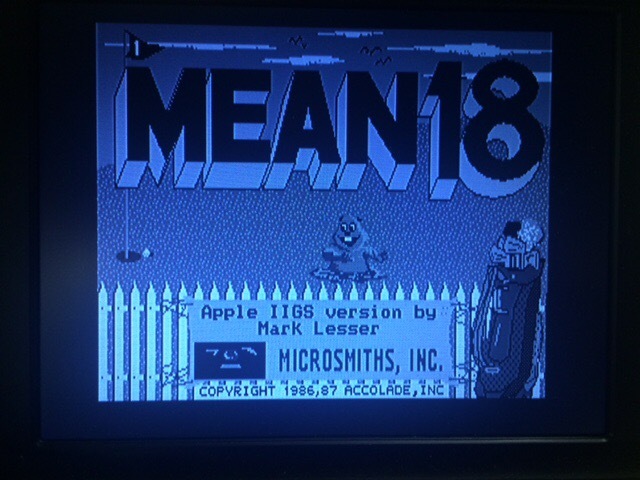 Recently installed in my IIGS Rom 03. Here are configurations it supports. You are currently browsing the archives for the SDFloppy category.